Cost Of Driving Keeps Falling, But For How Long? 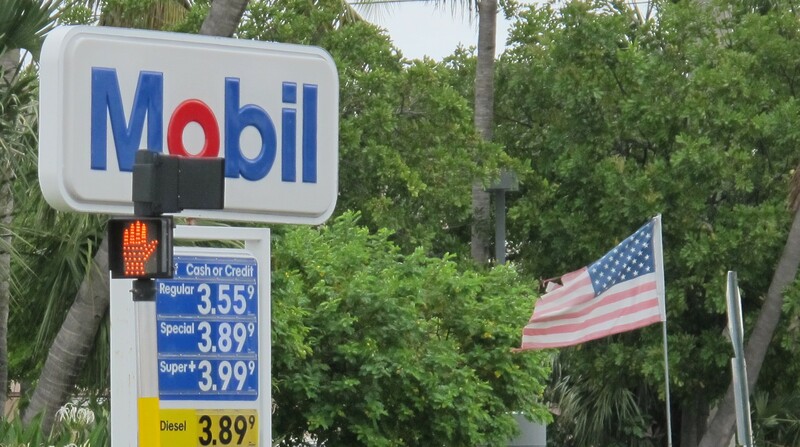 Gasoline prices continued to fall during the past week, with the average price of a gallon of regular unleaded dropping about a penny per gallon, according to the latest survey from the U.S. Energy Information Administration. 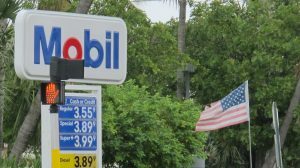 Drivers in California and the West Coast enjoyed bigger declines of five to six cents per gallon. However, if the oil futures markets are any indicator, the price of gas could be about to swing higher during September. In fact, the one region of the U.S. where gas prices are broadly higher is the Midwest, and that typically is an early indicator of an increase in fuel costs for drivers. 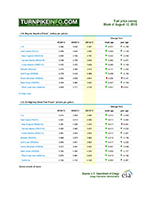 Oil futures are higher over the past several weeks, an indicator gas prices are about to go higher in September. Such an increase could cost parents who drive their children to school rather than use a school bus. The situation could be particularly troublesome for commuters with children, as the back-to-school rush is kicking into high gear. Many counties’ school districts opened for the new school year this week, with more coming on board in the coming week and immediately following the Labor Day Holiday, which is September 2. For parents who drive their children to school, rather than sending their children to school on a bus, the increase in oil futures, coupled with the uptick in gas prices in the Midwest, could portend a costlier commute in the coming weeks. Diesel fuel costs began a reversal of their recent downward pricing trends, as the average price of a gallon of diesel remained largely flat or notched higher across most regions of the United States. 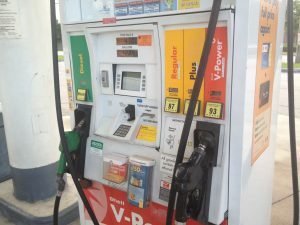 The average trucker is now paying about $3.90 for fuel in the U.S., alghough prices in some regions of the Untied States, particularly California, are well above $4.00 per gallon. 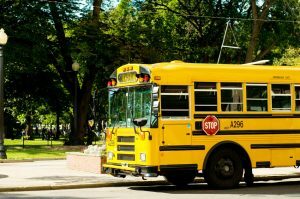 Most school districts’ bus fleets also use diesel fuel, and a price increase will likely squeeze school budgets and cause districts’ school boards to reassess monetary priorities, in the event of a large price increase in the coming weeks. Meanwhile, the year-over-year numbers are actually a bright spot, with gas prices lower for most drivers versus the back-to-school period in 2012. The average gas price is down about 19¢ per gallon versus last year, while diesel prices are lower by 13¢.